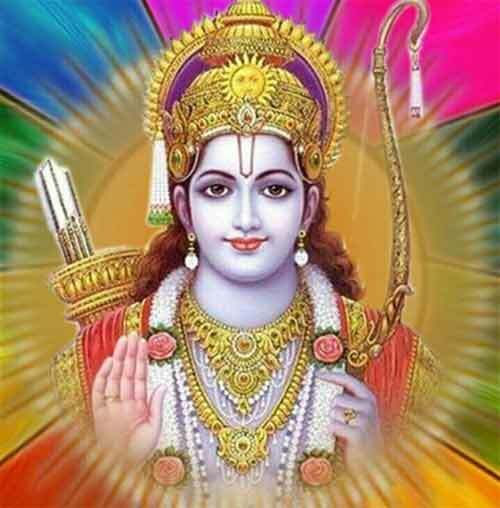 Ram Navami is the birthday of Lord Ram and is celebrated by Hindus around the world. Here is a brief idea on what to do on Ram Navami. The method of celebration varies from region to region but fasting is an integral part of Ram Navami in most places. Lord Ram and Vishnu temples conduct elaborate pujas. Large scale community celebrations are organized in different parts of India which includes recitation of Ramayana and performances by folk artists. Maximum number of Rama Navami pujas take place in Hindu homes. The rituals associated with Ram Navami starts on Chaitra 1 and ends on Ram Navami. Some devotees fast on all nine days but majority of the people fast only the Ramnavami day. Those people who undertake fast on the day only eat food made using potatoes. Turmeric, garlic, onion and ginger are avoided. Another method of fasting is to eat only fruits or raw vegetables. There are also staunch Lord Rama devotees who undertake nirjala upvaas (fasting without water). On the day, after thoroughly cleaning the house, idols or pictures of Lord Ram, Sita, Lakshman and Hanuman are installed in the puja room. Bananas, Tulsi leaves and usual flowers are placed near the deities. An aarati is offered at noon and devotional bhajans are sung. A tika is applied and Gangajal is sprinkled the people present. Usual sweets or coconut is distributed as Prasad. Food and drinks that cool the body are prepared on the day and is consumed after the fast.